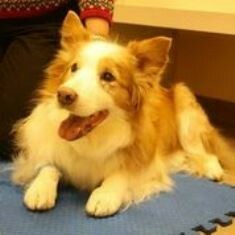 Belle Mead Animal Hospital offers same day MediVet stem cell therapy for dogs and cats suffering from osteoarthritis, hip dysplasia and other degenerative diseases. Platelet Rich Plasma, or PRP, has been used to help treat conditions that involve tendons, ligaments, joint injuries, and muscle, which in general have a slow healing time. Almost everyone knows that platelets help blood to clot, but platelets also have the ability to stop inflammation, clean up and remove dead cells, and release growth factors. The release of growth factors is what helps to make tissue regeneration possible, bring healing, and why PRP works. PRP is obtained from blood that is drawn directly from the patient. 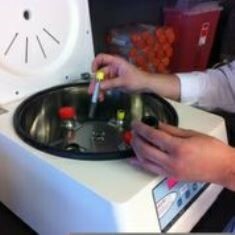 Through a special centrifugation process (spinning down of blood) a portion of the blood is separated to where the platelet concentration is more abundant than what is found in normal blood. The entire process to create PRP takes about an hour and can be given that same day. The final PRP product is an injectable form. 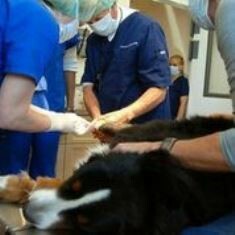 Because it was created from the patient’s own blood, there is no risk of rejection. When injected into the damaged area(s), the cells within the body are stimulated to bring in new healthy cells and to bring about an accelerated healing time. 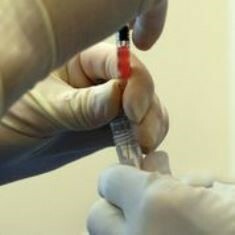 Platelet Rich Plasma is automatically a part of the stem cell package, but injections can also be done alone, without the injection of stem cells. Platelet Rich Plasma is a great option for our older patients who want to avoid multiple anesthetic events in one day, or for younger patients with acute injuries. For additional information, please visit MediVet Biologics for Pet Owners online for more details about stem cell therapy for your pet.